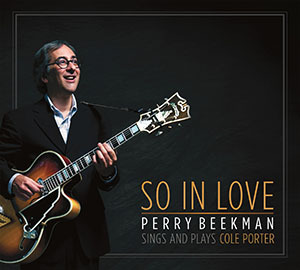 Perry Beekman is that voice that is not easy to find in the jazz scene. He has in his vocal chords a powerful and clear bass sound that allows him to express a melodic and deep pitch. He is a guitarist and singer who has loved classic traditional jazz repertoire since he was a very young man. 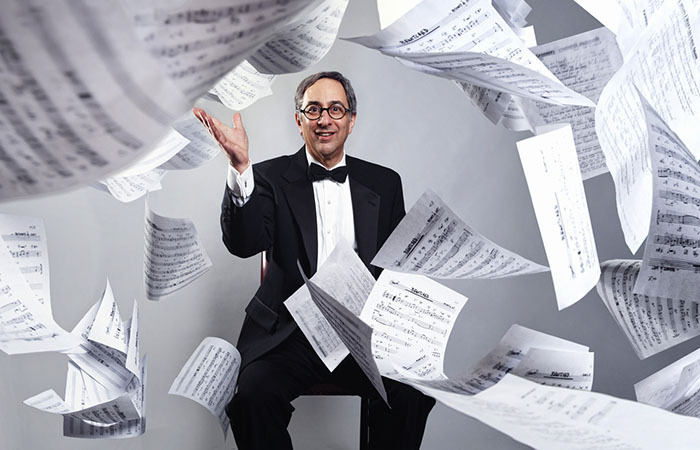 With his bass and melodious voice, Perry Beekman has decided to sing the songs of one of the most beloved and popular American composers and songwriters, Cole Porter. This is a work played and sung by Mr. Beekman and two more talented musicians; Peter Tomlinson, on the piano, and Lou Pappas, on bass. So in Love is composed of 15 Porter songs culled from renowned Broadway musicals the legend Cole Porter composed many decades ago. Perry Beekman offers homage to the American musical genius with his guitar sound and deep voice, showing the passion that Porter’s work makes him feel in the most profound place of his soul. As a listener, one can identify with the talent and discipline of this small band as they sincerely play each song of Cole Porter. Mr. Beekman and his band keep the essence of Porter but, at the same time, they give a fresh and jazzy particular sound, full of good improvisation, feeling and swing. “Let’s Do It” symbolizes the qualities that I just mentioned, paying tribute not only to Cole Porter but also to all the unforgettable singers and composers who wrote, composed, played and interpreted jazz music. Perry Beekman knows how to take advantage of his bass voice, he expresses the essential form of Broadway musicals, singing long, in-tune notes with a subtle vibrato that give his interpretation a catchy and jazzy style. The perfect example of what I think about Mr. Beekman is represented in the song “So in Love”, the album theme, where this young band leader showcases his talent to sing and play the guitar. This is an amazing way to know a bit more about jazz history while enjoying a great album made with the heart. Tracks: 1. Let’s Misbehave, 2. I Get a Kick Out of You, 3. Always True to You in My Fashion, 4. I Happen to Like New York, 5. Anything Goes, 6. In the Still of the Night, 7. My Heart Belongs to Daddy, 8. Miss Otis Regrets, 9. Night and Day, 10. Let’s Do It, 11. Just One of Those Things, 12. It’s De-Lovely, 13. So in Love, 14. I Love Paris, 15. You’re the Top. Personnel: Perry Beekman: guitar & vocals; Peter Tomlinson: piano; Lou Pappas: bass.